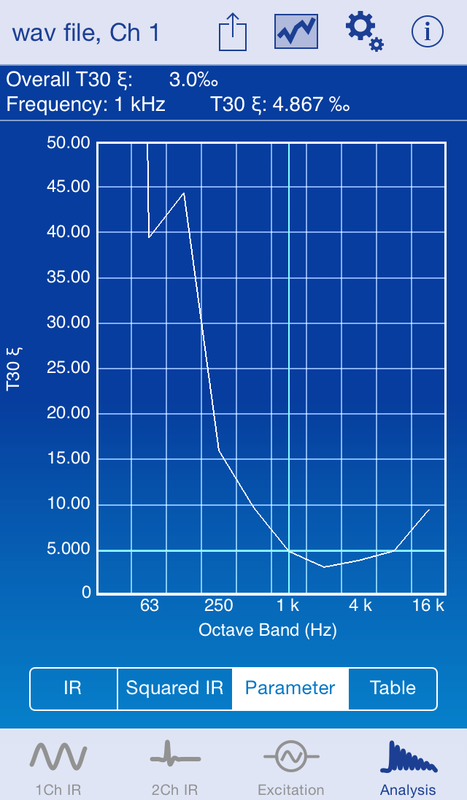 In version 2.1, RoomScope now presents a nonlinearity parameter to offer additional guidance on the validity of each acoustic decay parameter (T20, T30, T60, EDT). Values of greater than 10 ‰ (per mille, or parts per thousand) indicate that the estimated reverberation or decay time may be suspect, or that integration limits may need to be adjusted manually to obtain a more accurate result. RoomScope 2.1 is now available for download on the App Store.